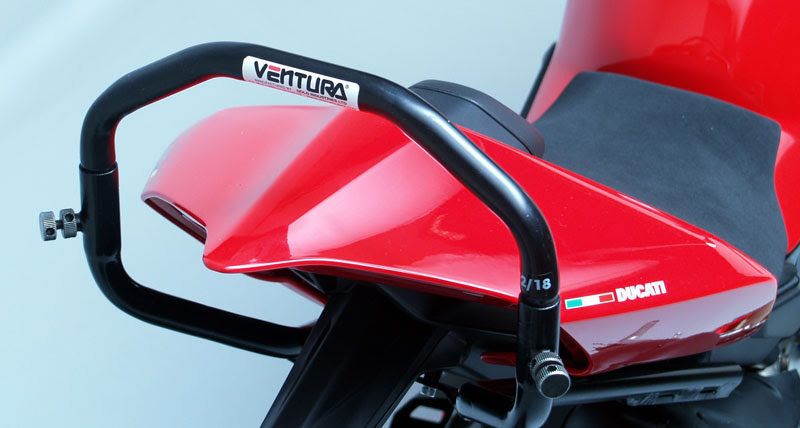 The unique mounting system ensures the load won’t shift, even during hard riding. 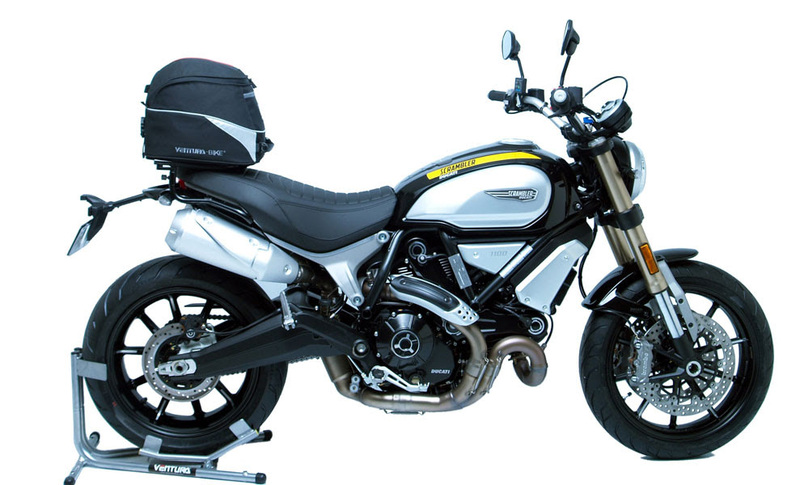 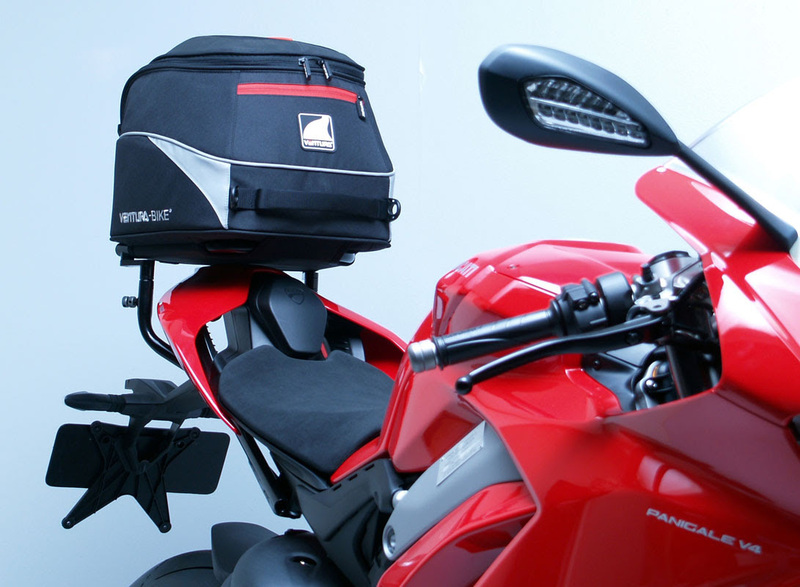 It can be carried directly behind the rider close to the bike’s centre of gravity, and quickly re-positioned behind the pillion seat when a passenger is on-board. 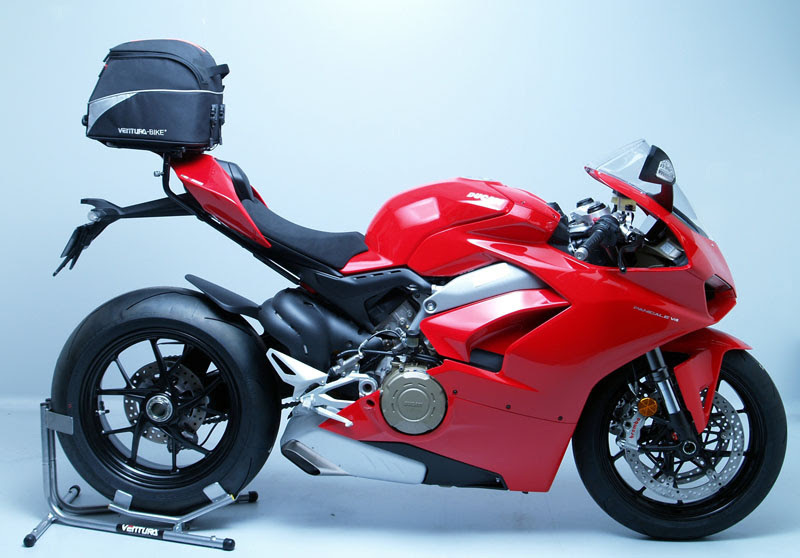 Both options carry the pack well clear of exhausts and the rear wheel. 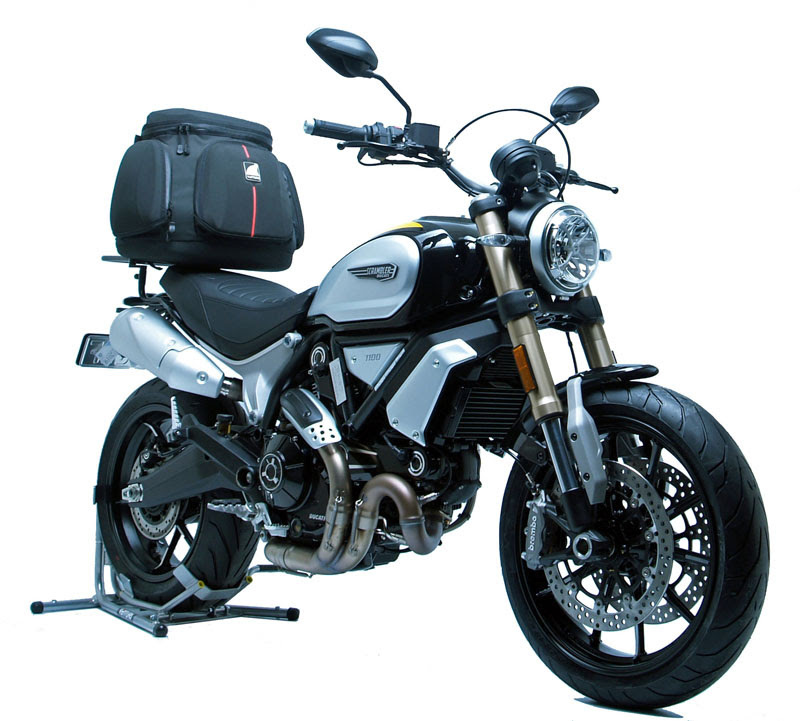 When luggage isn't required, the rack can be replaced with a Grab Handle.